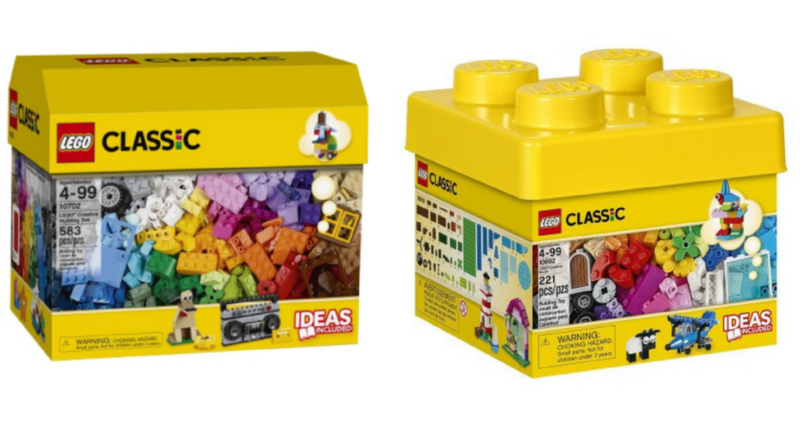 Head to Jet.com and get the LEGO Classic Creative Building set for $20 (reg. $30)! Walmart also has the similar Classic Small Creative set marked down to $24.99 (regularly $39.99). The Classic Creative set includes 582 pieces in 41 different colors and has a mix of classic Lego bricks as well as special elements. The Classic Small Creative set has 221 pieces and lots of windows and doors for creating houses, shops and more. You can add the sets together or to existing Lego sets to make even more creations. Choose FREE in-store pick up at Walmart (or get REE shipping at Walmart.com and Jet.com for orders of $35 or more). These deals are valid for a limited time.